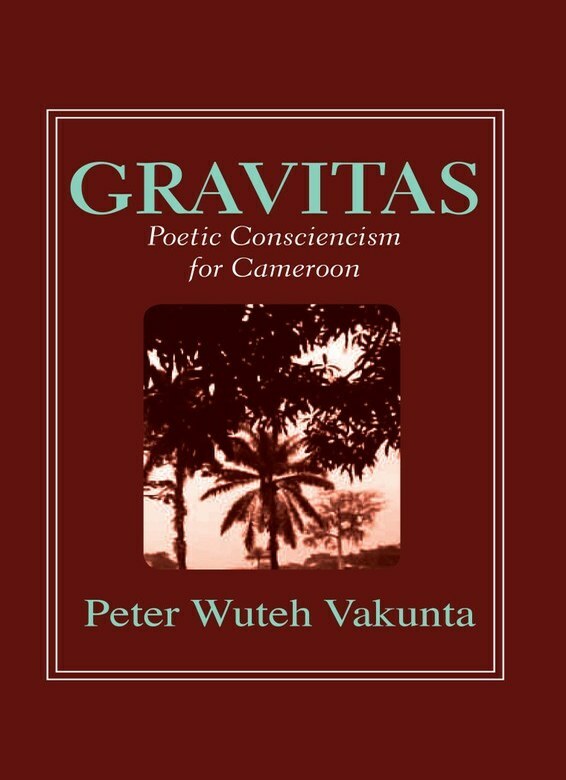 Gravitas: Poetic Consciencism for Cameroon is the poet’s requiem for the geographical expression code-named Cameroon. Vakunta speaks with the audacity of a daredevil and the certitude of a seer. This long poem has the twin virtues of gravity and clarity of purpose. The poet eschews the banality and sophistry characteristic of poetry for poetry’s sake. Passion, sarcasm, and incisive irony are the hallmarks of this long didactic poem. The poet subscribes to Salman Rushdie’s pronouncement that a poet’s duty is to say the unutterable, name the unnamable, unmask masquerading miscreants and shame the scum of society. In this poem, music serves as a clarion call for examination of conscience, and alcohol ceases to serve as opium of the people. A bittersweet potion, this book echoes the defiant voice of a son-of-the-soil at odds with his native land gone topsy-turvy.